– UPDATE: Dillion needed some stitches after the first day of riding the new ramp! 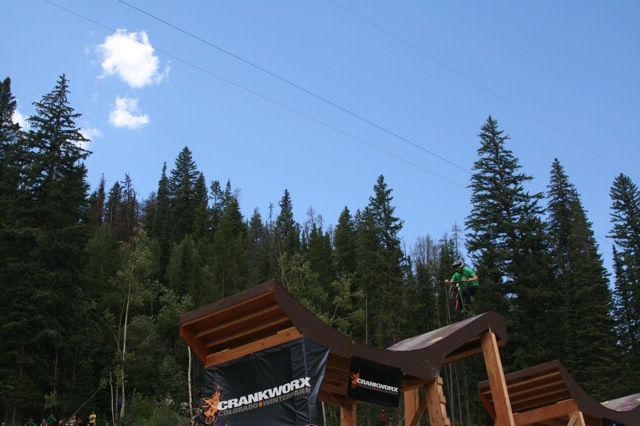 After visiting the Crankworx Slopestyle event this past weekend in Winter Park, CO, the Turner boys got home and started working on their own slopestyle course. 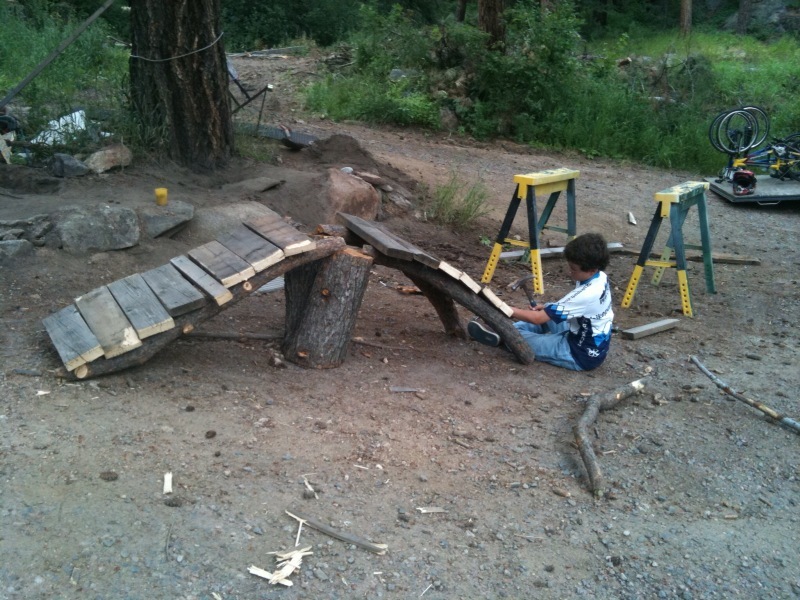 Check out the ramp they made all on their own! This entry was posted on Monday, August 2nd, 2010 at 8:28 PM and is filed under Peak Cycles Bicycle Shop. You can follow any responses to this entry through the RSS 2.0 feed. You can leave a response, or trackback from your own site.